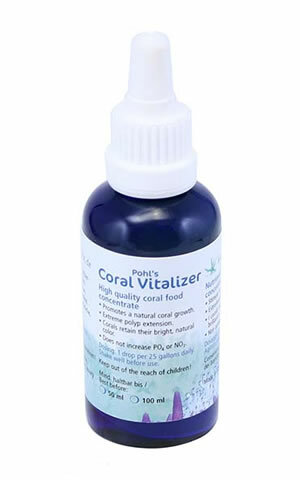 The new Coral food Concentrate contains both liquid and solid elements, providing food to SPS corals as well as several soft corals. Corals retain their bright, natural colour. Increases coral growth.